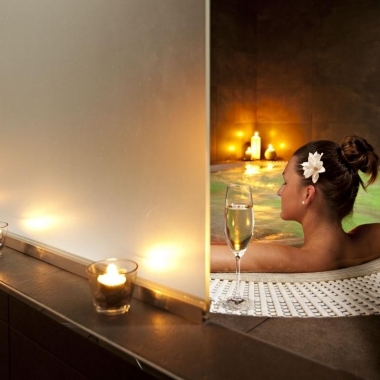 A luxurious spa allows to experience moments full of real romance. 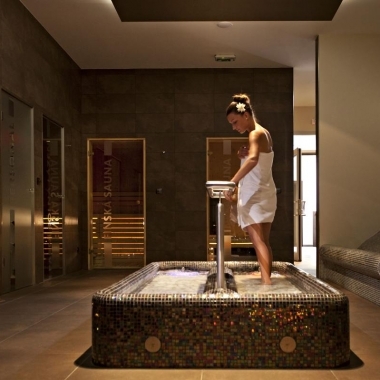 Intimate lighting, quiet music and light snacks change a staying in the private wellness to unforgettable experience. Intensive hydro massage relieves stress, improves blood circulation and supports muscles and joints regeneration. Staying in sauna helps with detoxification, blood circulation and improves skin freshness. Wellness can be rented up to 6 people. Reservation has to be arranged with staff in advance. The price list of services can be found below. The whole wellness centre can be rented privately after agreement. Capacity 20 people.